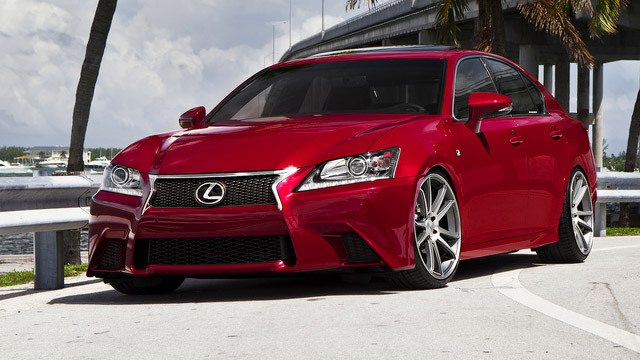 Cincinnati Lexus Service and Repair - Avid Autowerx, Inc. When your Lexus needs auto repair or service, turn to the team of auto mechanics at Avid Autowerx in Cincinnati. Whether you drive a Lexus RC 350 F Sport, Lexus 350C convertible coupe or a Lexus LX luxury SUV, our highly-skilled auto mechanics are technical wizards when it comes to everything Lexus. At Avid Autowerx in Cincinnati, our highly-skilled auto mechanics use leading-edge tools and equipment to troubleshoot and repair your Japanese vehicle. We will identify the underlying cause of the issue, keep you informed each step of the way, and try our best to adhere to your budget. Our goal is to help you get the most from the Lexus in the most cost-effective manner, and we stand behind our work with a three-year/36,000-mile warranty. At our Cincinnati-based auto repair shop, our auto mechanics are all career automotive individuals. That's means, not only do they bring years of experience and education to the table, but their passion and commitment to proper service of your Lexus goes unrivaled in the region. If you are searching for a Japanese auto repair shop, you can count on, Avid Autowerx is your best choice. Call Avid Autowerx Japanese auto repair today at if you have specific questions about your Lexus, or contact us to schedule an appointment. We’re located at 5591 Wooster Pike, Cincinnati, OH 45227. Avid Autowerx team of auto mechanics looks forward to taking care of you, your Lexus and all your future auto repair needs.